When it comes to selecting a buffet, good value is the most important criterion for me. Just like every other budget-conscious diner, my chief concern is to ensure that I eat enough premium items to cover the entry fee. This obviously includes loads of prawns, beef, and seafood. That, and the chance to sample a bit of everything, is what makes buffets so alluring to me. 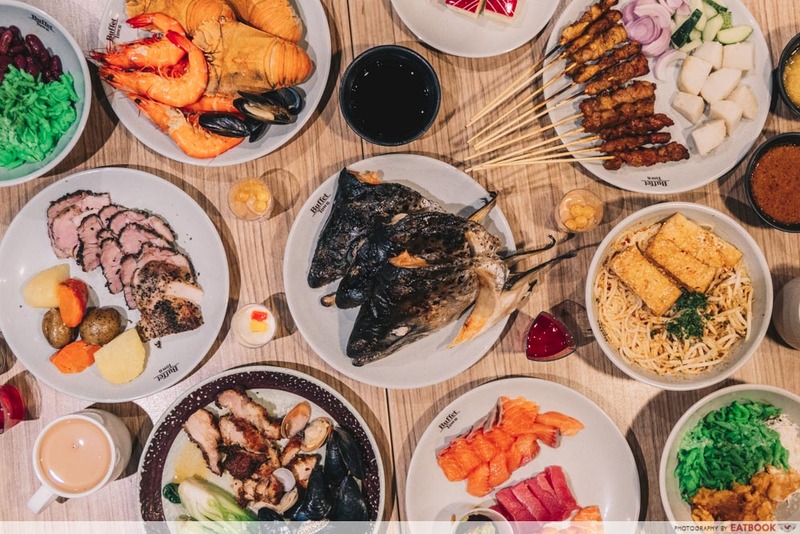 To save yourself from the hassle of wasting your calories on lacklustre buffets, we visited these five restaurants that are conveniently located in town. 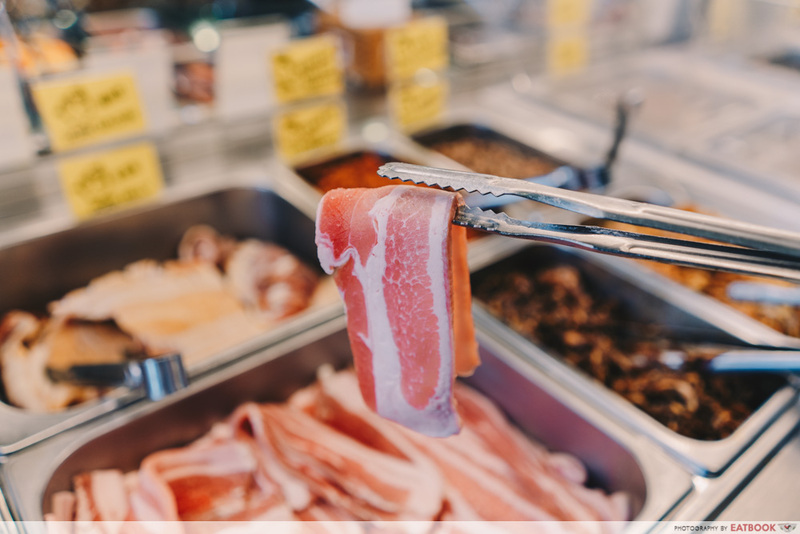 Offering great value alongside tasty fare, keep this list of five affordable buffets in town handy the next time you’re looking to feast with your loved ones. My only gripe about yakiniku, Japanese grilled meat, is how it can get really pricey. ROCKU YAKINIKU overcomes this, offering an all-you-can-eat meat buffet at $15.90++ for lunch from Monday to Thursday. 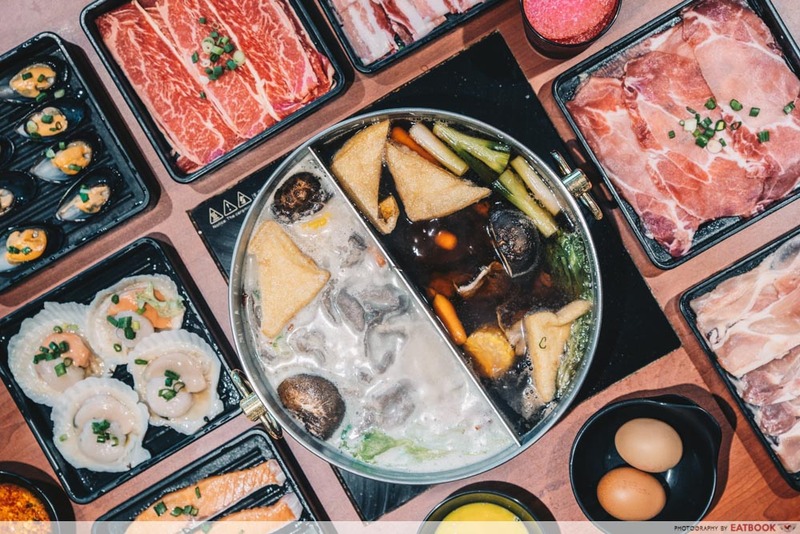 This casual eatery is unlike any typical traditional yakiniku joint, with a dimly lit interior and speakers blasting Mandopop tracks. With over 50 dishes to choose from, look out for favourites such as the beef striploin, beef short plate, and pork belly. Seafood such as green mussels and baby octopus is also available, along with sauces such as sweet miso, spicy miso, and ponzu. The meats are grilled over steaming white charcoal, giving each piece a nice and robust sear that locks in all the lovely meat juices. A word of caution though, the grill can get extremely hot, especially during the earlier stages. This process ensures that the meats are fully cooked through. It’s also recommended to top up an additional $10.90++ for premium meats. This gives you unlimited access to wagyu beef and Iberico pork, to name a few. 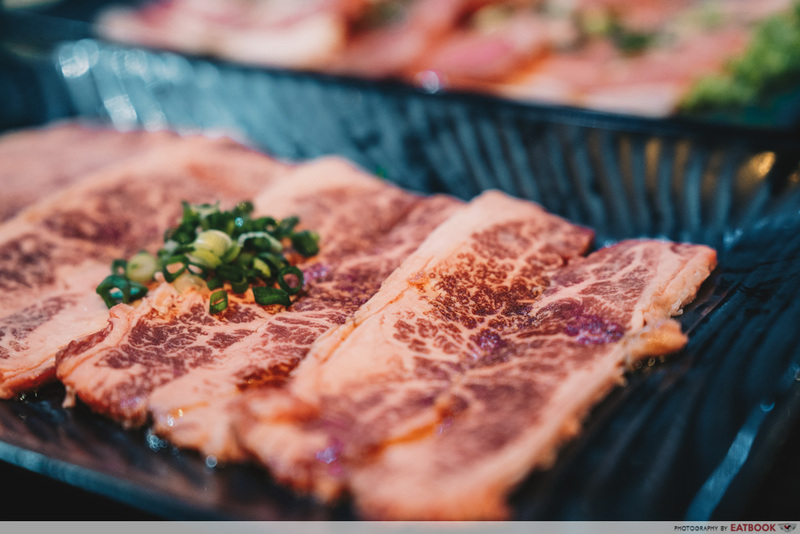 The wagyu beef is popular among yakiniku aficionados, with a generous amount of marbling that makes it deliciously juicy and tender. 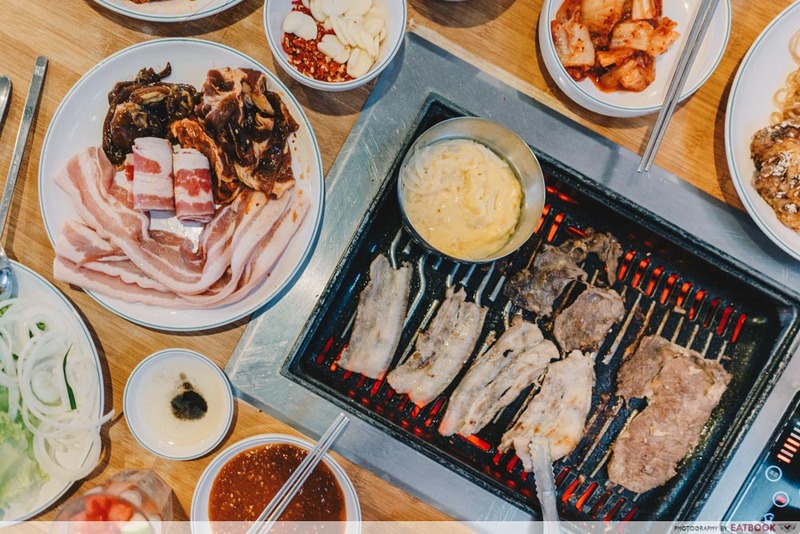 A crowd-favourite for Korean barbecue, Daessiksin Korean BBQ Buffet is known for offering a healthy selection of meats and side dishes at pocket-friendly prices. 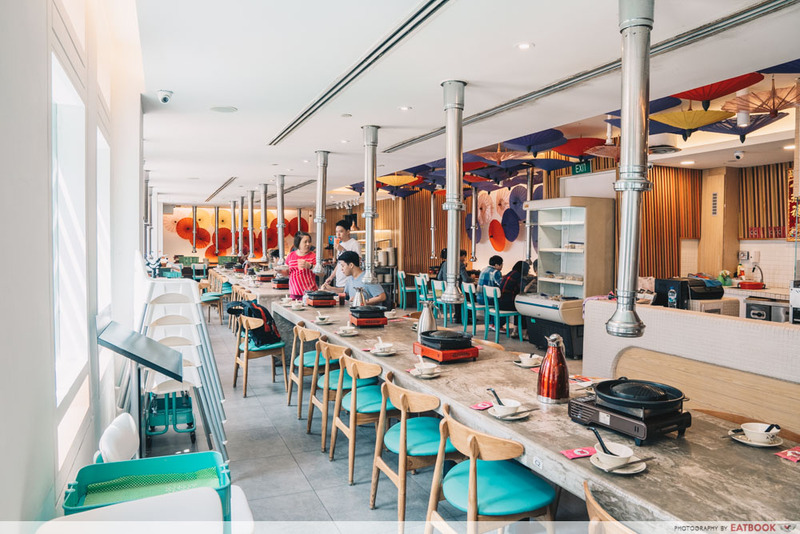 Their weekday lunch buffet will set you back $15.90++, and comes with more than 10 different types of meats, along with a wide variety of side dishes. 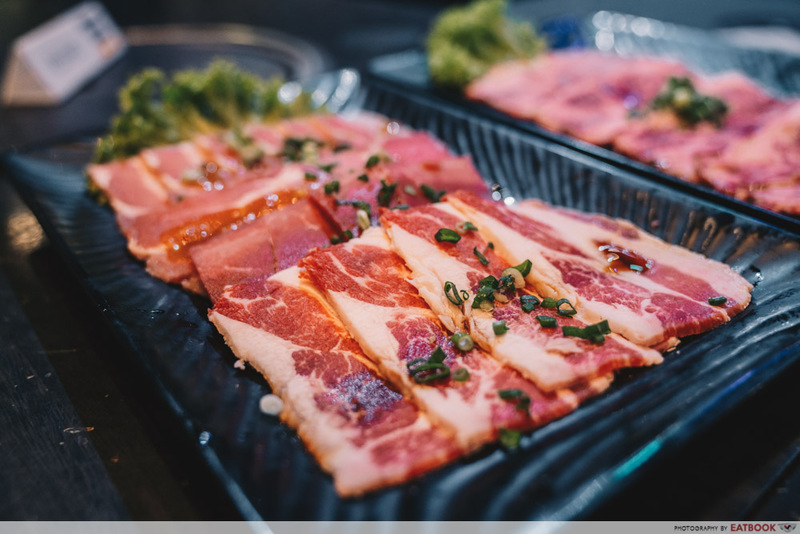 Pork belly is my go-to option at Korean barbecues. 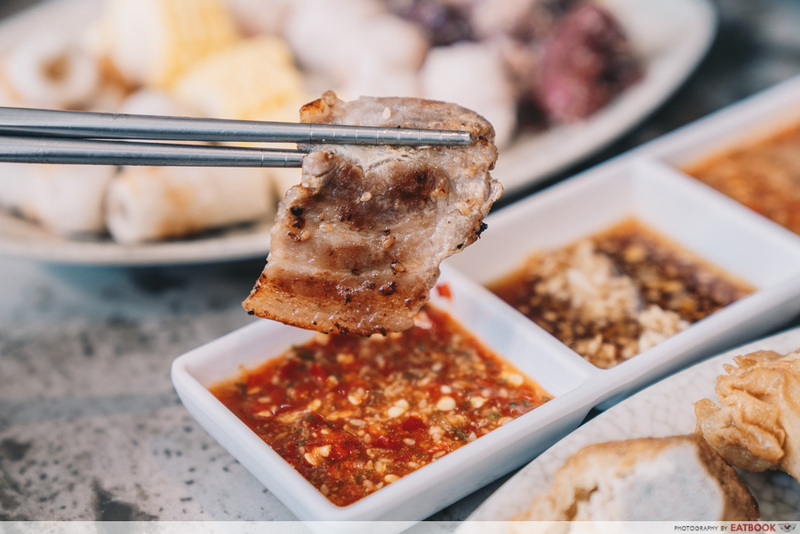 It’s hard to go wrong with a perfectly grilled slab that’s sandwiched with lettuce, and a tinge of special ssamjang dipping sauce. Cheese lovers will fall in love with their Edam and Mozzarella Cheese Dip ($3++). 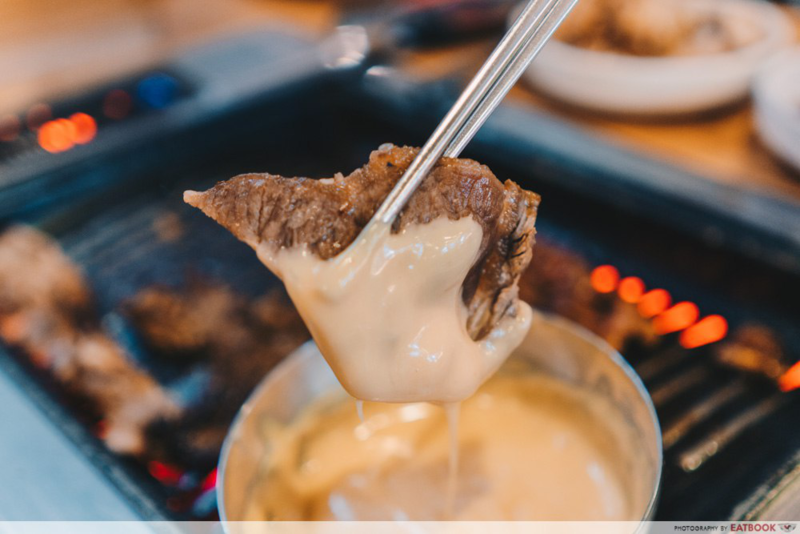 The blend of cheese gives a creamy boost to the grilled meats, making us want to lick every gooey bit off our plates. Quench your thirst with a selection of free-flow drinks. I like how they have a special house-made fruit punch, which comes with freshly chopped fruits – a refreshing contrast to the hearty grilled meats. For those who like a tipple to go with this meat feast, try their Watermelon Soju ($19.90++). 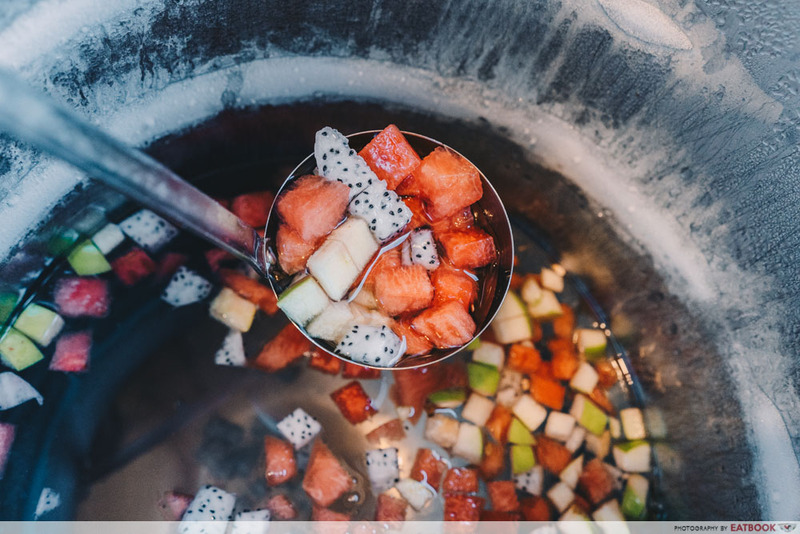 This popular Korean cocktail is made with fresh watermelon and is served on a large watermelon. Great for sharing. 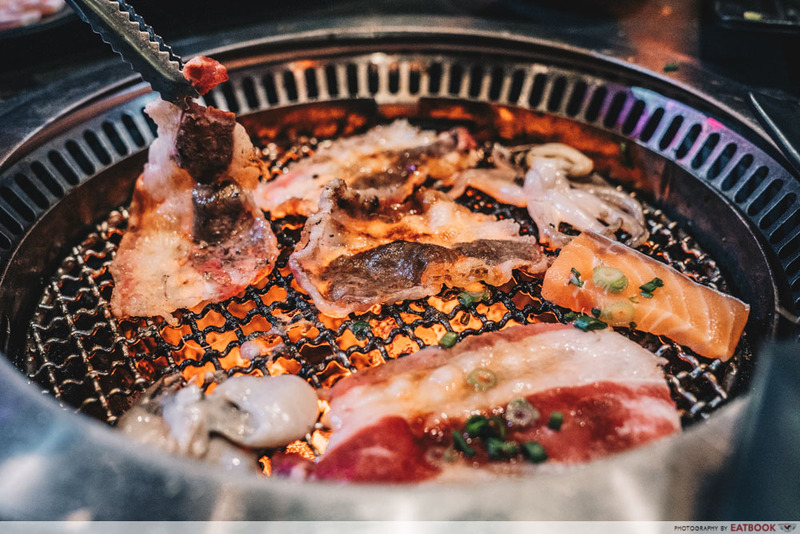 Combining both steamboat and barbecue, mookata lets you get the best of both worlds. 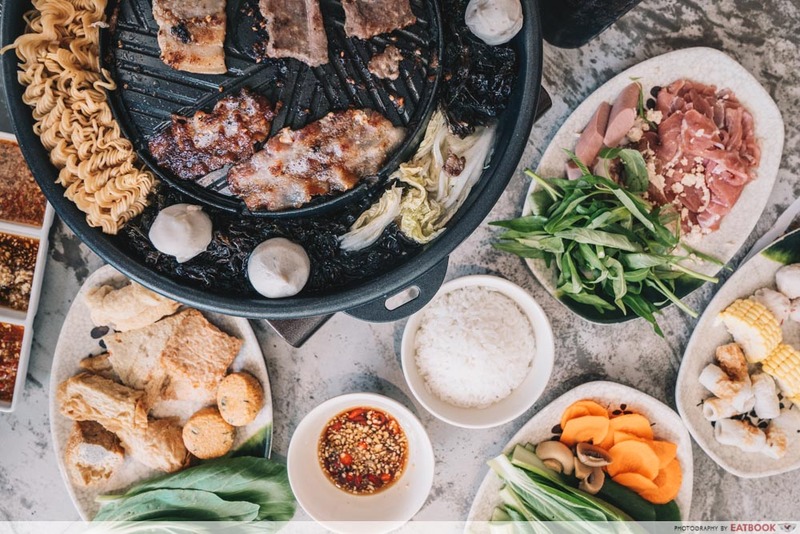 Mookata Traditional Thai BBQ offers an all-you-can-eat mookata experience, complete with ready-to-eat sides, ice-cream, and free-flow drinks. At $14.90++ for lunch on weekdays, this buffet restaurant is one of the most affordable in town. 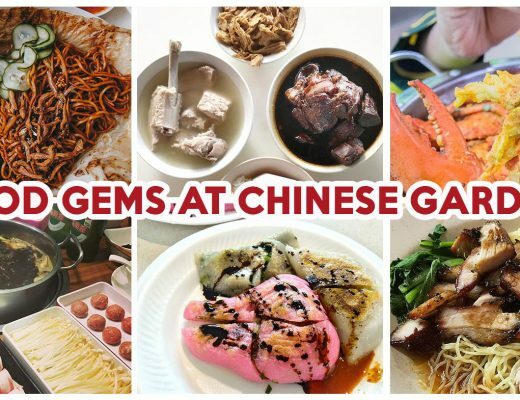 The options are aplenty, with crowd-favourites such as sliced beef, marinated chicken thigh, pork belly, and garlic pork that ought to fill you up nicely. Commonly found in open-air coffee shops, my only grievance about mookata is the smell, which tends to linger on my clothes long after the meal. 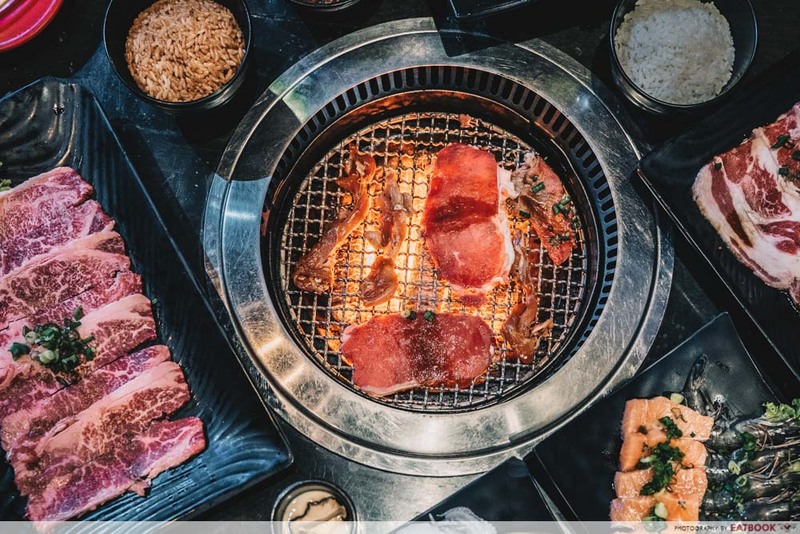 Luckily, there are individual suction hoods at each table here that lets you grill your favourite meats in a comfortable air-conditioned environment. For those who prefer a heartier lunch, try their Mama Mee Lunch Buffet ($14.90++). 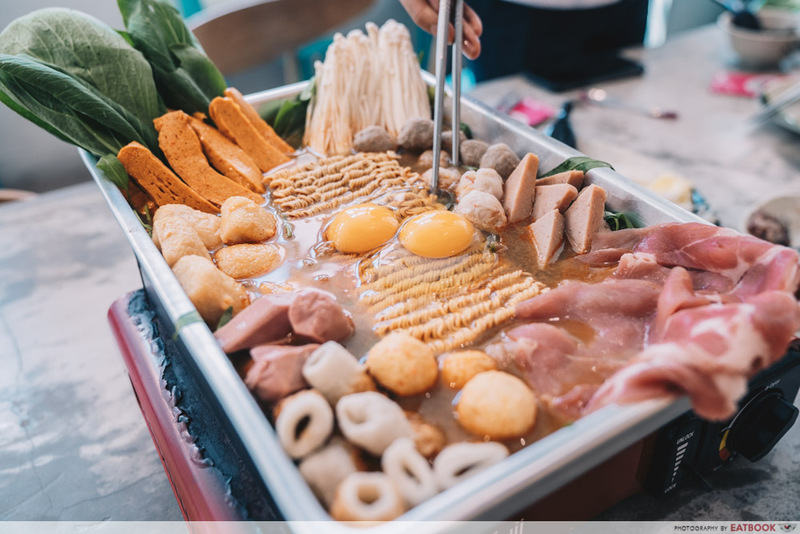 This impressive looking dish features a hot pot filled with flavourful tom yum soup, instant noodles, eggs, and a variety of ingredients. 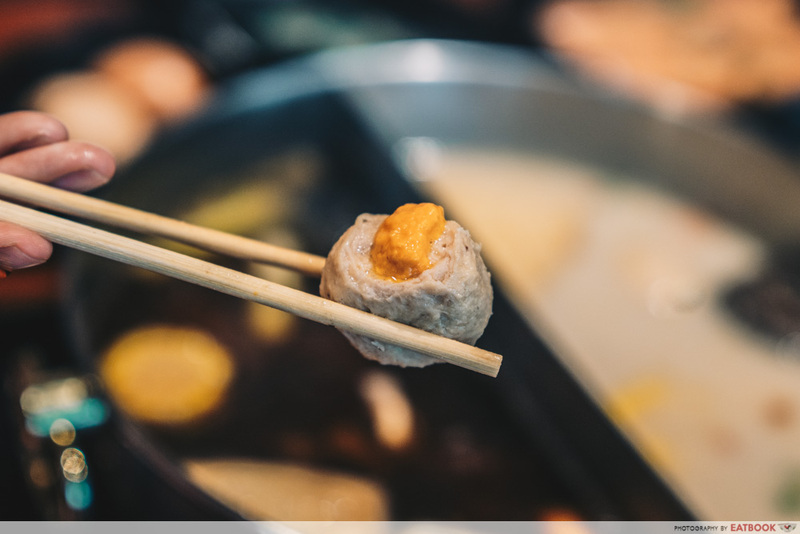 For more variety, you can also grab items from the buffet spread to complement the piquant broth. True buffet fans ought to be familiar with SUKI-YA. 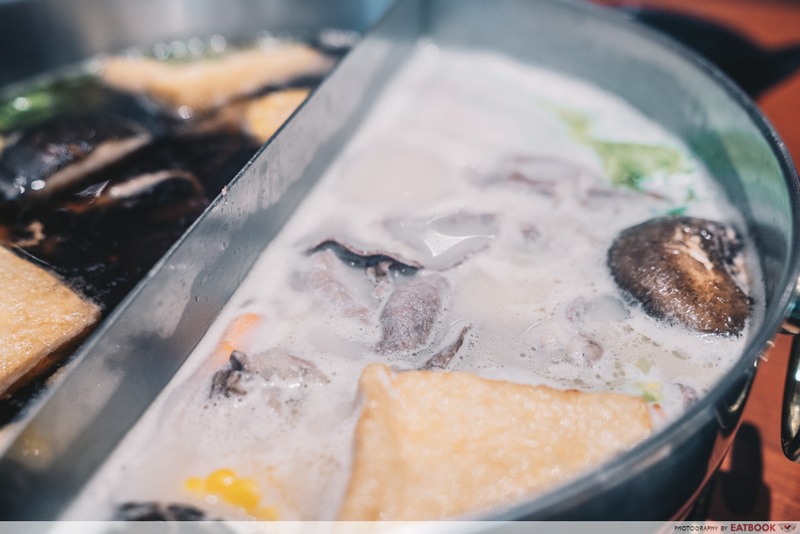 Serving up Japanese-inspired sukiyaki and shabu-shabu, this home-grown chain has clearly won the hearts of the masses, expanding to 10 outlets islandwide. Their lunch buffets are affordable, going at $16.90++ every Monday to Thursday. There are plenty of options to personalise your dining experience, including five different soups to choose from. We went for the Sukiyaki and Butaniku soup base, the latter featuring a rich pork broth that is made from slowly simmering pork bones for hours. 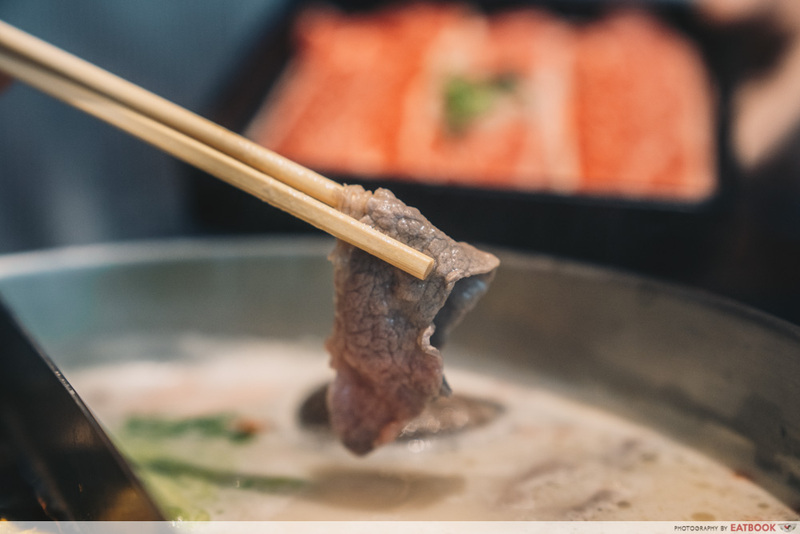 Neither too thin nor thick, the meat slices are sliced perfectly to soak up the flavourful broth. 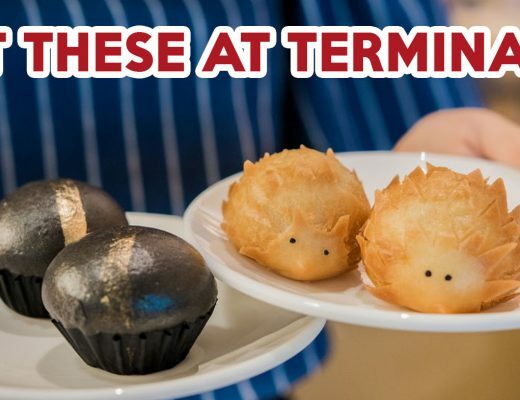 A word of advice for those biting on their cheese meatballs, these little spheres are packed full of molten cheese that might scald your tongue if you’re not careful. Putting that aside, they’re one of my favourite items, with the cheese providing an addictive contrast to the meat dishes. 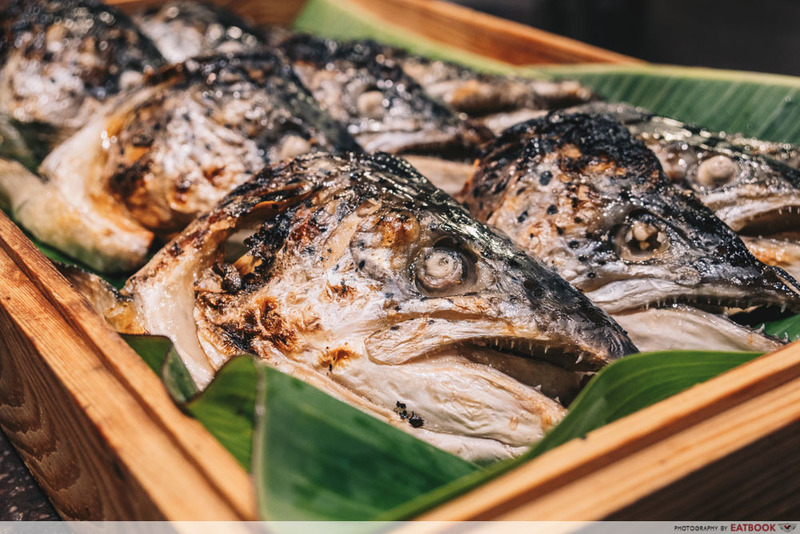 If you’re too lazy to cook your own food or simply too ravenous to wait, Buffet Town International Buffet Restaurant is a good bet for a wide and indulgent spread. The weekday lunch buffet is one of the most affordable lineups we’ve ever come across, costing $26.80++. You might want to call and reserve in advance though, as the restaurant was fully booked during our weekday lunch visit. 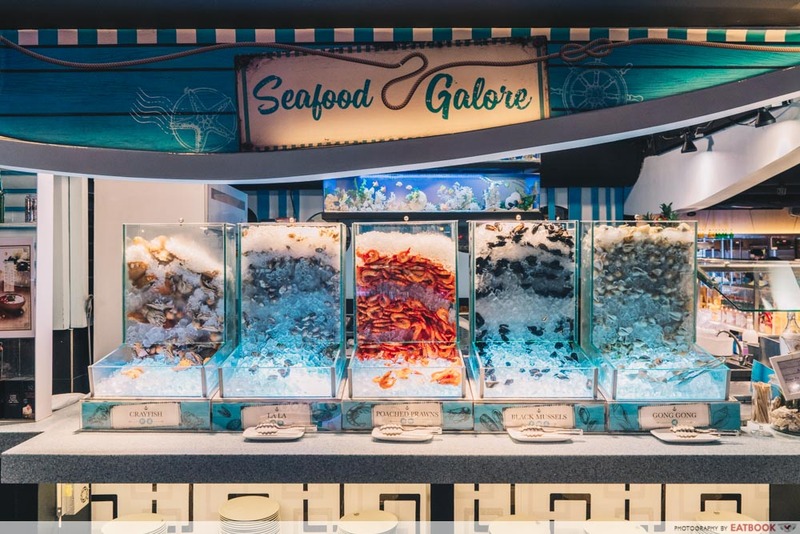 Seafood lovers are definitely in for a treat with an all-you-can-eat selection of shellfish such as prawns, crayfish, mussels, lala and gong gong. Packed in ice to preserve its freshness, we were particularly impressed by the prawns, which were exceedingly juicy and plump. 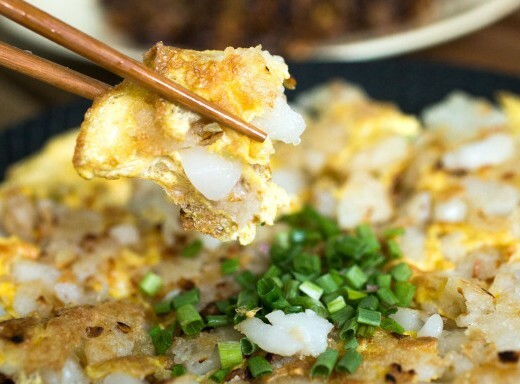 The satay is another favourite item, with a good amount of char. 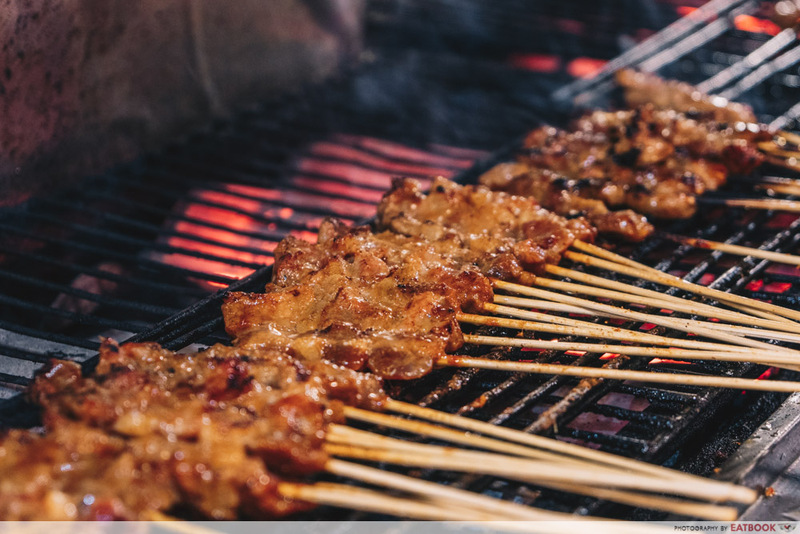 Alongside popular options such as chicken, pork and beef, the quintessential peanut satay sauce is also provided. Attracting snaking long queues, the salmon atama shioyaki is undoubtedly their most popular item. Freshness is key here, as the salmon heads are grilled simply with salt to let its natural flavours shine. Located in malls that are right smack in the middle of town, getting to these buffet restaurants is a breeze. There are always plenty of exciting stores opening up all the time. 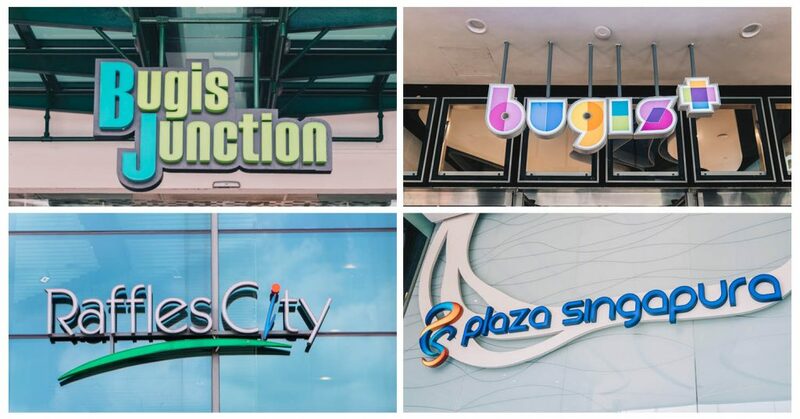 Keep yourself updated with the latest restaurant openings and new promotions by following the pages of Bugis Junction and Bugis+ on Facebook and Instagram, Plaza Singapura on Facebook and Instagram, and Raffles City on Facebook and Instagram. Photos taken by Dexter Looi. This post is brought to you by CapitaLand malls.